What a sweet surprise! Our helper told us that there was an owl outside the house, and it hadn’t moved for a while – so she thought it was injured. Of course we all rushed to the kitchen to look outside the window. It didn’t look like an owl, we thought it was a hawk. It didn’t move even if we went near it. Apparently, it wasn’t a hawk either. 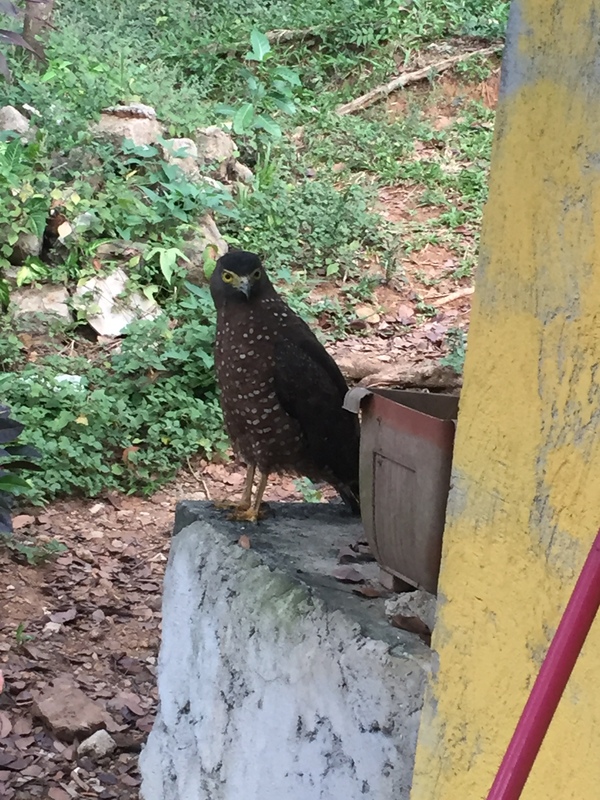 It was a Philippine Serpent Eagle! It is endemic to the Philippines, and it is found in forests. Wow. What a privilege to have such an animal near our place. For those who have never been here, we actually do live surrounded by lots and lots of trees! All planted by my Lola Lily Padilla many decades ago. In fact, when we first moved here in the early 80s, there were hardly any trees around our house. And now, we have an eagle endemic to the Philippines – only seen in forests – hanging out near our home. What a blessing. And what a great salute to Lola Lily who made this all happen many decades ago. If only we all cared more for the environment and planted trees – instead of cutting them down – then we can definitely change the world in a few short years. We have seen it happen here. It can happen anywhere. Next FLiQ Media: Soaring Higher!